After World War II, the main characters in Food-A-Rama arrived in the US. Paul and Sonia Diamond, and Ben and Devorah Schuster arrived on April Fools Day. 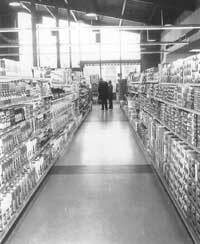 They proved to be no fools in America, and built a corner grocery into a major regional supermarket chain. The Diamonds and Schusters spent their first five weeks at the Baltimore home of relatives Henry and Jesse Turk, 2308 Eutaw Place. Cousins then set up separate apartments for them at 1833 Linden Avenue. Ben and Devorah Schuster moved to Flatbush, New York. They lived in a "privileged kitchen" � apartment where a few tenants share one kitchen. Ben taught in a yeshiva for a half year. Devorah became pregnant and was unable to work. Meanwhile, Paul worked in Washington, D.C. at his cousin's (Harry Zeitelman) restaurant across the street from the White House. Paul went to night school for a few months to learn English. He quit his restaurant job and went to work for another cousin, Nathan Zuriff. The Zuriff store sold small items like socks and scarves, and paid Paul $35 per week. When Zuriff didn�t follow through with a $5 raise, Paul said he couldn�t continue working for peanuts and left. Sonia worked in a sewing factory making $18/week, but she became pregnant and got sick which forced her to stop working. The Diamonds moved out of Linden Avenue and moved briefly to Baltimore Street & Eden Street. Cousin Nathan Zurrif owned the building. The living conditions were poor, so Paul and Sonia moved out after 1 month. The Diamonds lived above the store until they sold it in 1949. 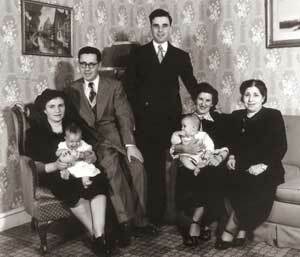 Their first son, Abe Diamond, was born Friday night April 2, 1948 at 11:38 pm. Meanwhile, Ben and Devorah returned to Baltimore. The uncles and aunts loaned them money to buy a corner grocery store on Druid Hill Avenue. They lived above the store for 5 years, with only a gas stove for heat. 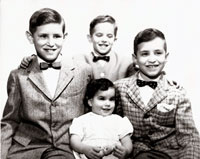 Their first child, Sylvia (Elhai), was born April 5, 1948. In March, Dave Diamond arrived in Baltimore from Europe. 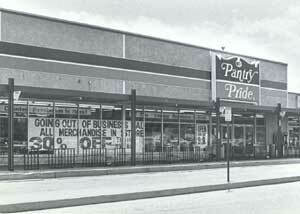 Paul and Sonia bought a store at Harlem Avenue & Mount Street and sold the old store on West Cross Street. Their second son, Marvin Diamond was born on October 31, 1950. Ben and Devorah's second daughter, Berly (Hershkovitz), was born April 14, 1951. Ben and Paul bought Dave Diamond his first store. 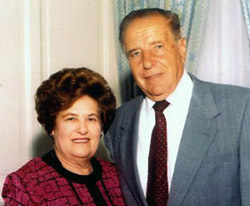 Ben and Devorah Schuster bought their store on Mount & Moser Avenue from the Kanter family. 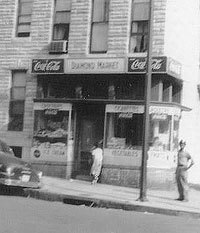 Dave sold his old store and bought a store on Fayette Street & Baltimore Street with a partner, Saul Sirok. After a while, Dave did not want to be in business without Paul and Ben. Meanwhile, the families were all growing. Paul and Sonia's third son, Sidney Diamond, was born July 9, 1955. Ben and Devorah's son, Dr. Alvin Schuster, was born February 20, 1955. Dave Diamond married Ruth Trieger, and they moved to Oakford Avenue. Ben and Devorah's third daughter, Paula Schuster, was born July 9, 1957. Paul and Sonia's daughter, Susie (Ben-David), was born December 11, 1957. Paul and Ben bought a self-service grocery store together in Druid Hill. Paul and Sonia Diamond sold their Harlem Avenue Store. Paul Diamond, Dave Diamond and Ben Schuster bought a full-size grocery store together at Liberty Road & Garrison Blvd. They named it FOOD-A-RAMA. 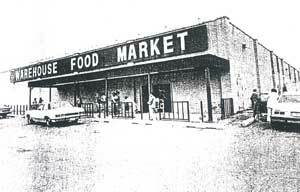 By 1970, Food-A-Rama owned and operated 5 supermarkets, with Paul, Dave and Ben at the helm. The Universal Product Code (UPC) - the postage stamp sized symbol printed on packaged goods - was introduced. This changed the whole food retailing industry. Food-A-Rama kept growing. 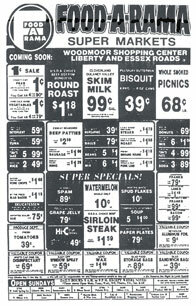 Food-A-Rama owned and operated 11 supermarkets in Baltimore City. Paul Diamond's eldest son, Abe, joined Food-A-Rama. In February/March, Food-A-Rama, along with B.Green & Co., made its first large acquisition by purchasing 5 Big Value supermarkets from the Penn Fruit Company. In August, Food-A-Rama became the first local grocery chain to open a Warehouse Store in Baltimore. 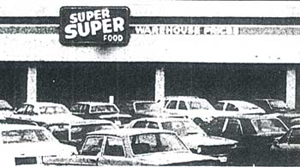 They were called Warehouse Food Markets, until later on when the name was changed to Cost Saver Warehouse Food Markets. 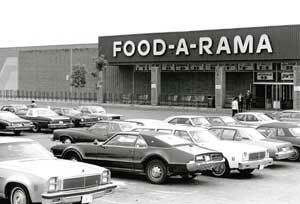 Food-A-Rama owned a total of 19 stores in the inner city and suburban counties. Food-A-Rama had 6 warehouse stores. In August, Food-A-Rama bought 11 Pantry Pride stores after Food Fair/Pantry Pride declared bankruptcy. The Pantry Pride stores were re-opened as Super Super high volume stores. In December, Food-A-Rama bought 3 more Pantry Pride stores. 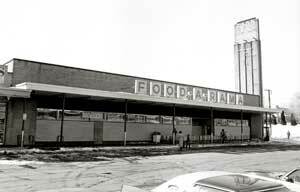 Food-A-Rama became the 2nd largest supermarket chain in the region, behind Giant Food. Food-A-Rama began to remodel some of the stores with improved technology. They were using B.Green & Co. and Super Rite Foods as the 2 main grocery wholesalers for all the stores. Food-A-Rama and B.Green & Co. were having informal talks about merging and going public. 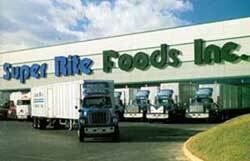 In December, Food-A-Rama signed an agreement to sell the 48 store chain to its main grocery supplier, Super Rite Foods. Wisely, the owners retained the real estate underlying the stores and sold only the retail business. January 9th, the Food-A-Rama/Super Rite deal was completed. Worth noting is that later, Super Rite was acquired by Richfood Holdings (Richfood Timeline), Richfood also bought Food-A-Rama�s other major wholesaler - B.Green & Co.
Paul Diamond met with the future owners of Seven Mile Market in Baltimore, MD. The owners requested to meet with Paul, for advice on opening the country's largest kosher supermarket. 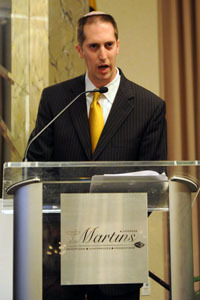 November 4th, Ben Schuster was inducted into the Maryland Food Industry Hall of Fame at an awards presentation. 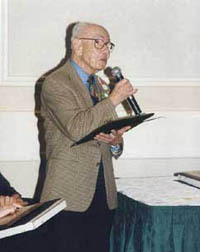 November 4th, Paul Diamond was inducted (posthumously) into the Maryland Food Industry Hall of Fame at an awards presentation. 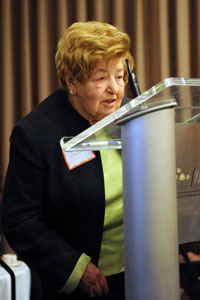 His wife Sonia Diamond and grandson Jeremy Diamond accepted the honor at an awards presentation. Jeremy remains active in both the food and real estate industries where Food-A-Rama had been active. * 1937 An Oklahoma supermarket owner (Sylvan Goldman) invented the shopping cart.